Switching off cellular data as needed can spare your phone's battery life—and save you from overage fees. There are plenty of reasons for why you’d want to turn off your iPhone’s cellular data connection. Perhaps you’re running low on battery but need to answer an important call. Maybe you’re on a limited data plan and want to switch on data only as needed. Or maybe you’re handing your iPhone off to your bored toddler and don’t want them to load random webpages. Whatever your reason, toggling off your data connection only requires a quick hop into the Settings app. Open Settings, tap Cellular, then toggle the Cellular Data switch to the “off” position. To turn it back on, simply return to Settings > Cellular and slide the toggle to the “on” position. 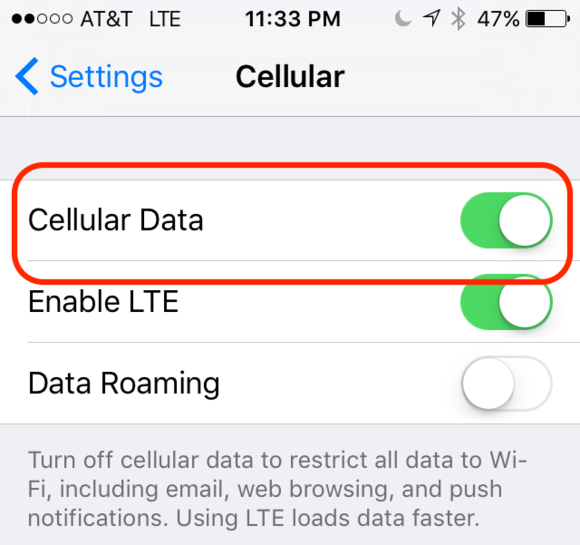 Switch off Cellular Data to keep your iPhone from connecting to your carrier’s data network. While you’re there, you can switch off your LTE connectivity and save battery life that way; when LTE is off, your iPhone will fall back to the slower—but still plenty usable—3G/4G wireless network. To do so, simply toggle the Enable LTE switch to the “off” position. 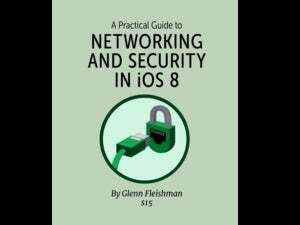 For more tips on how to manage your cellular data settings, see Glenn Fleishman’s in-depth guide on the topic.